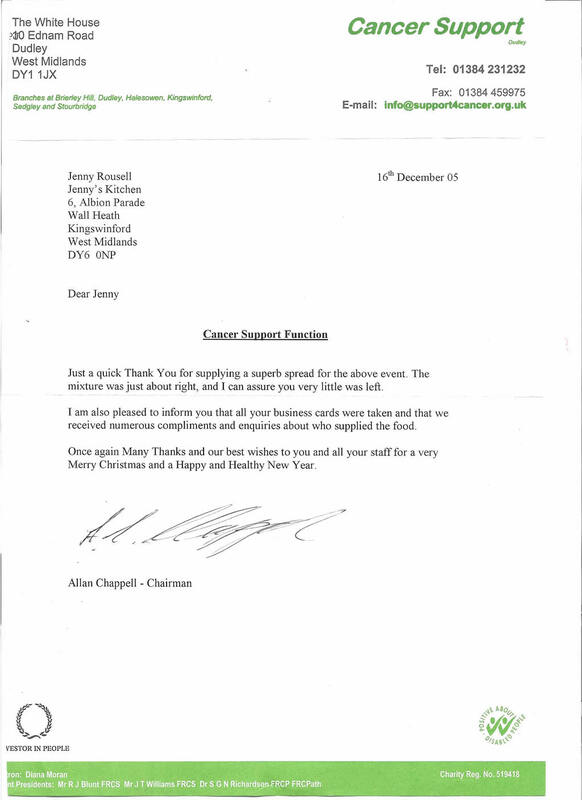 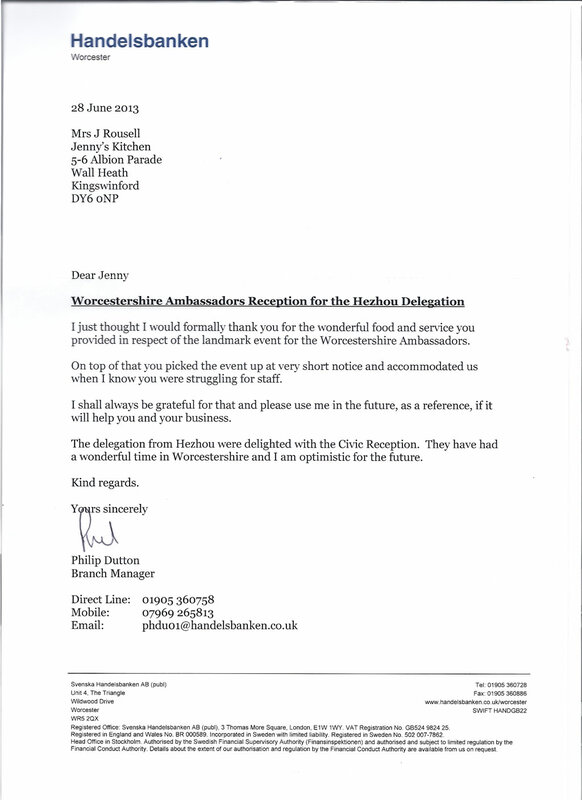 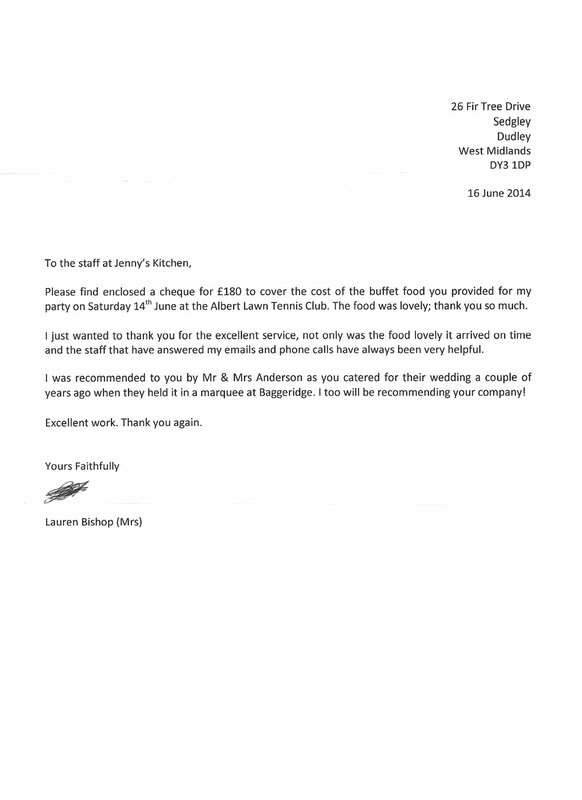 Jenny has catered for thousands of individuals, families, charities, companies large and small, local and national dignitaries and even royalty! 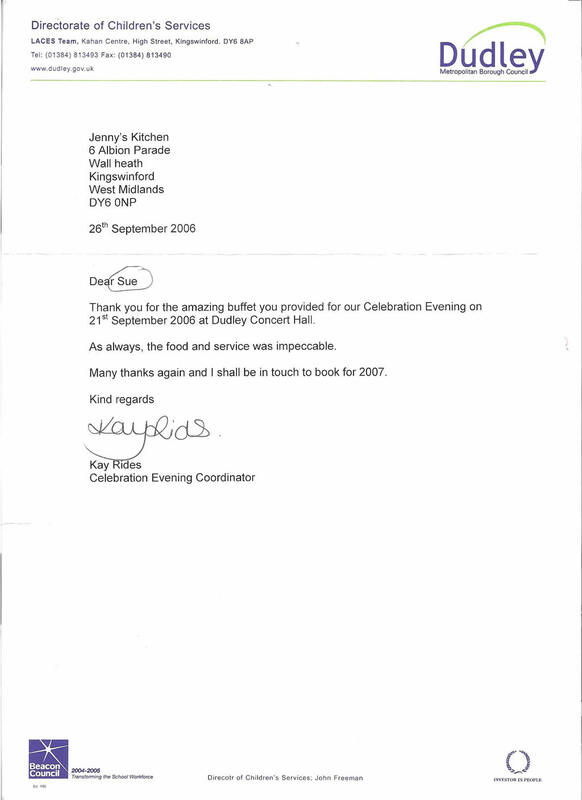 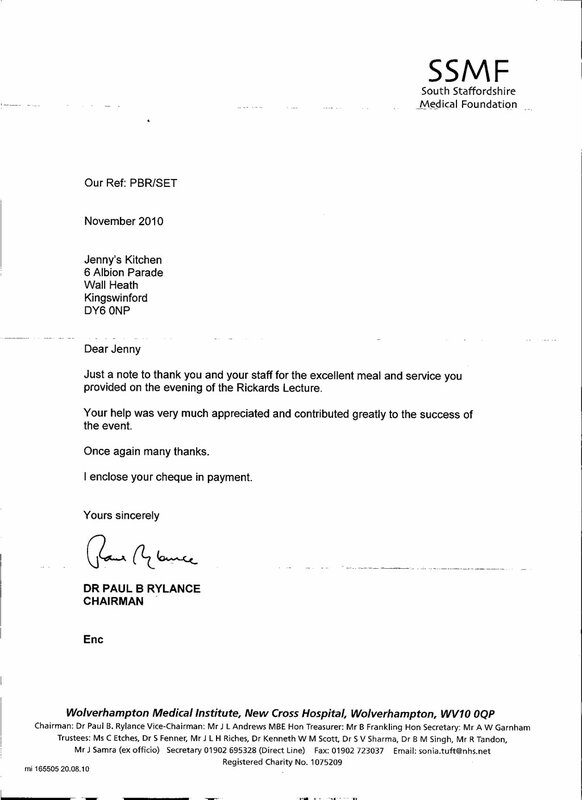 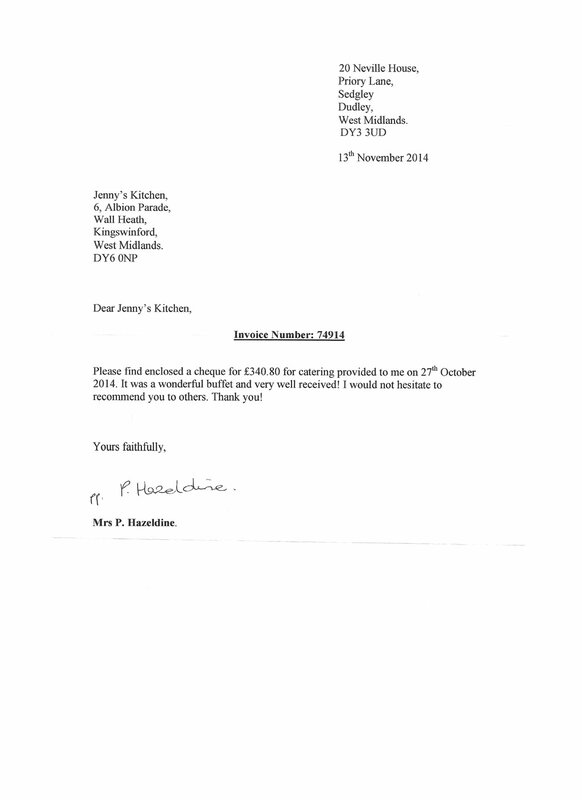 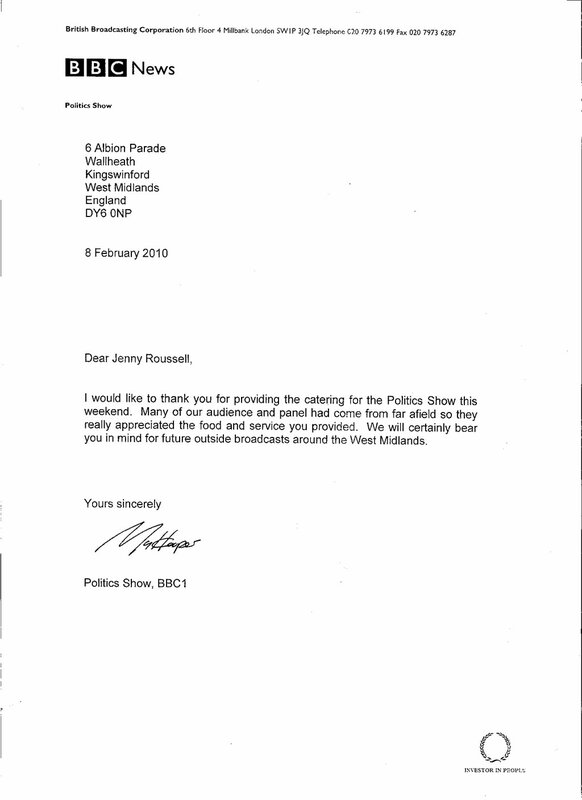 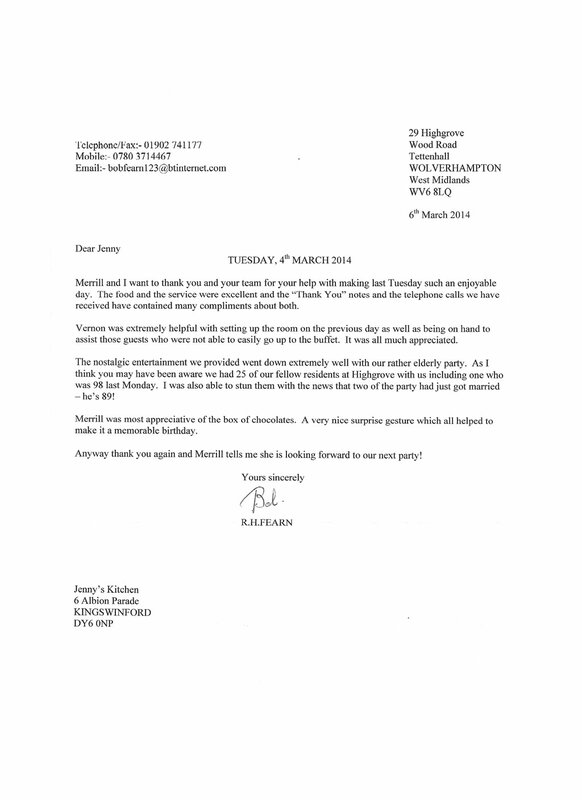 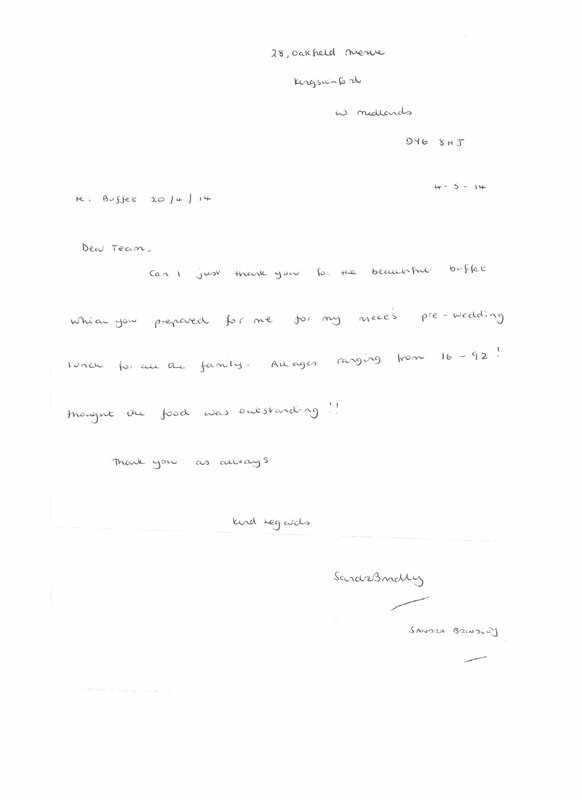 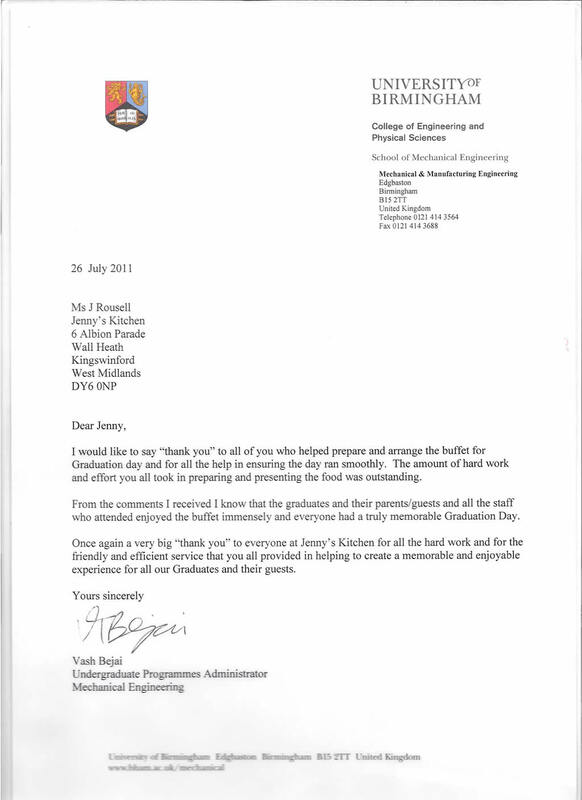 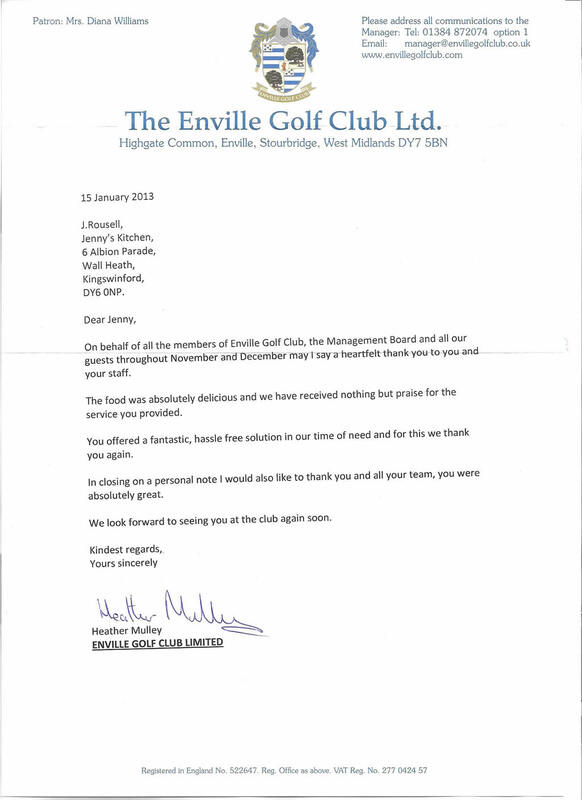 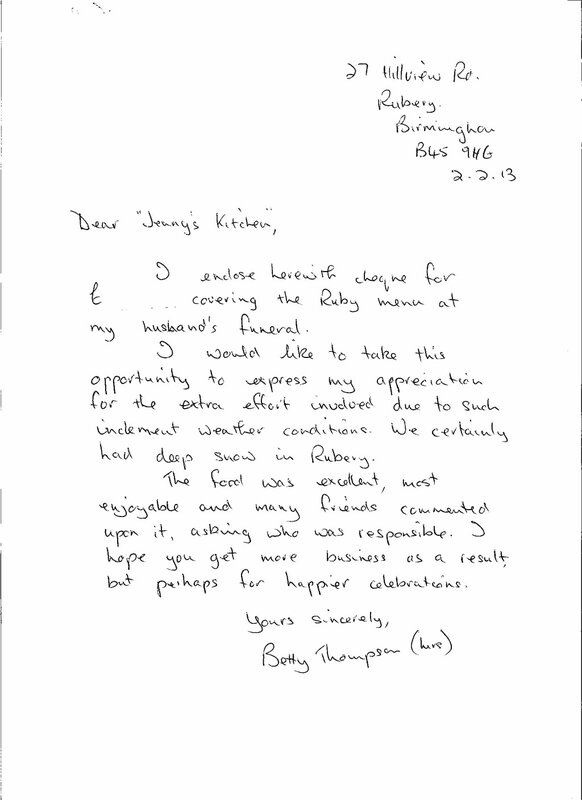 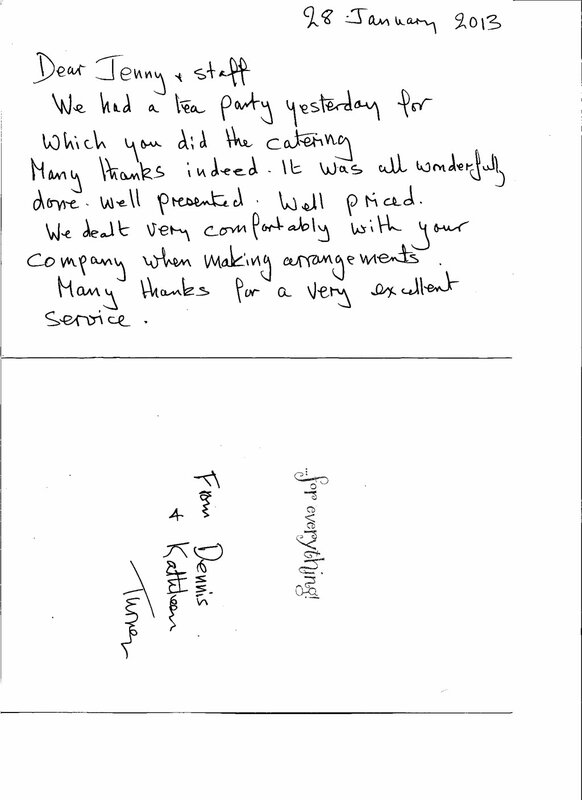 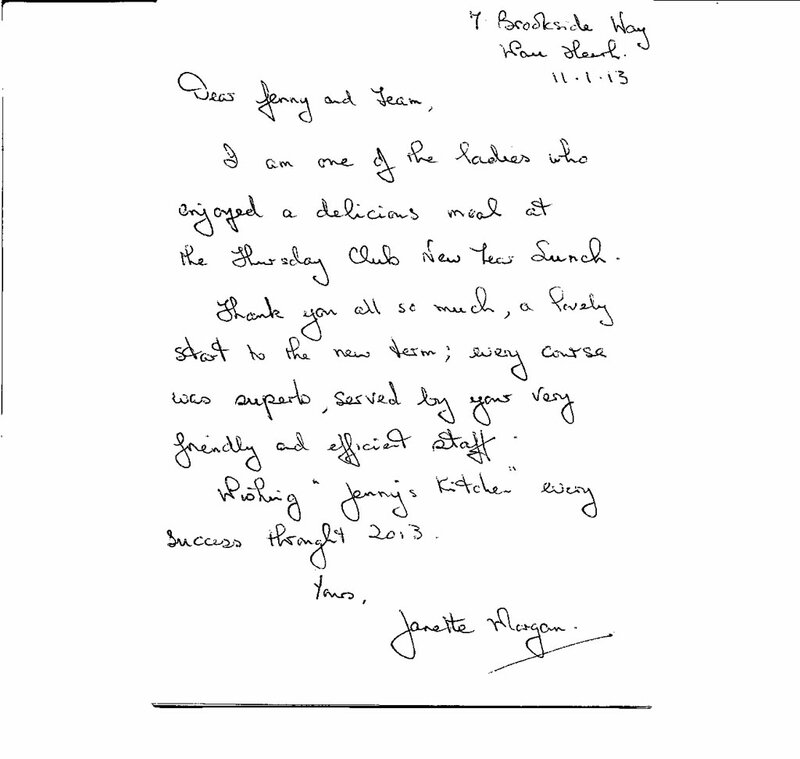 Here are a small selection of the thank you letters Jenny has received over the years. 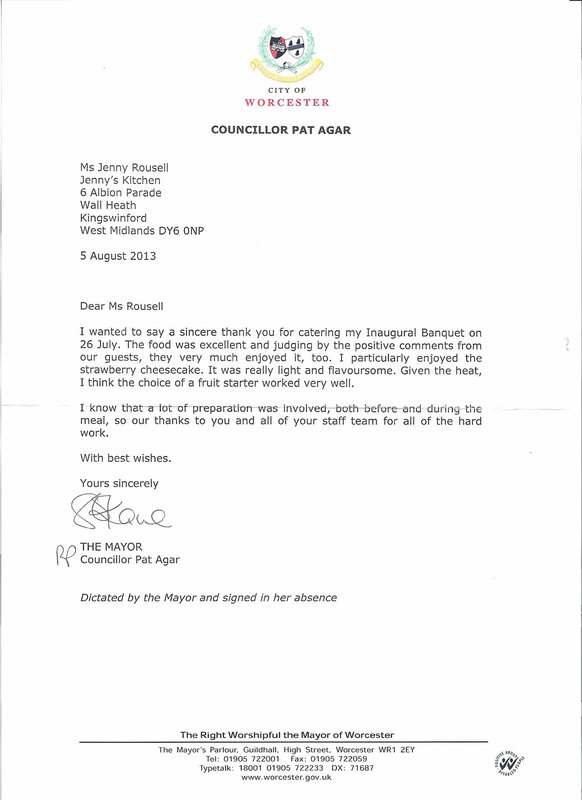 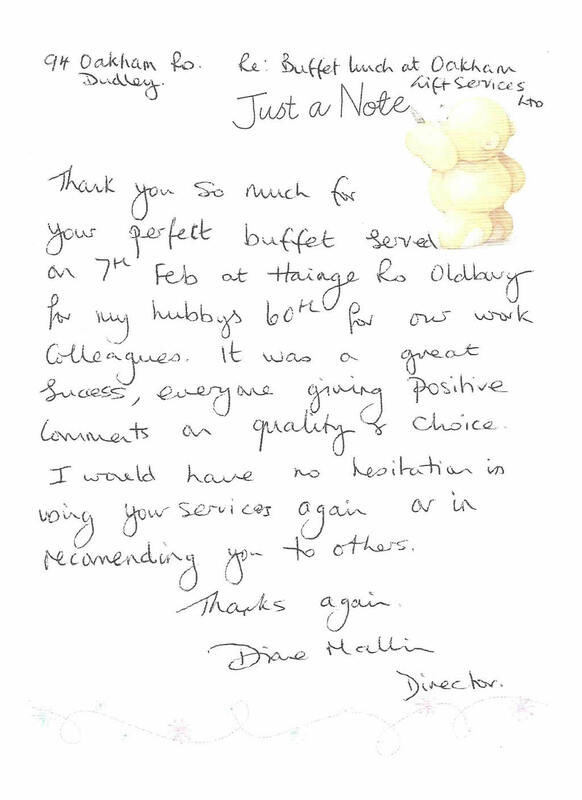 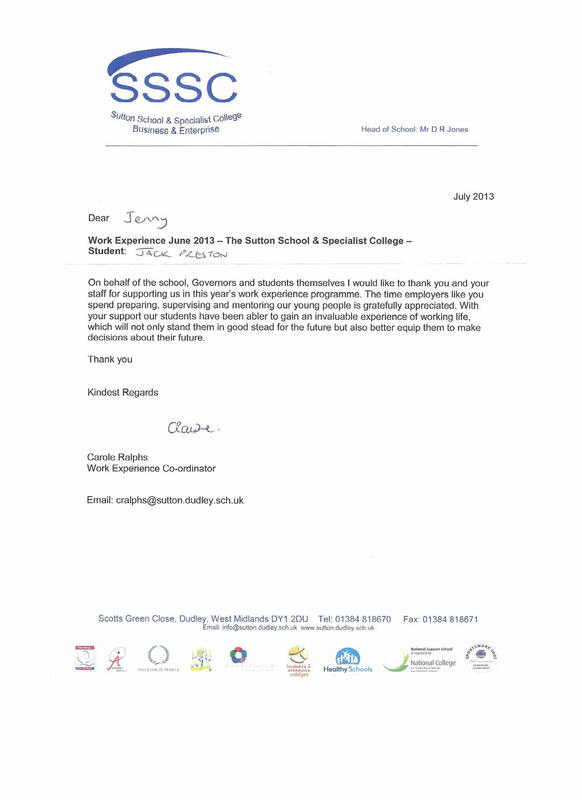 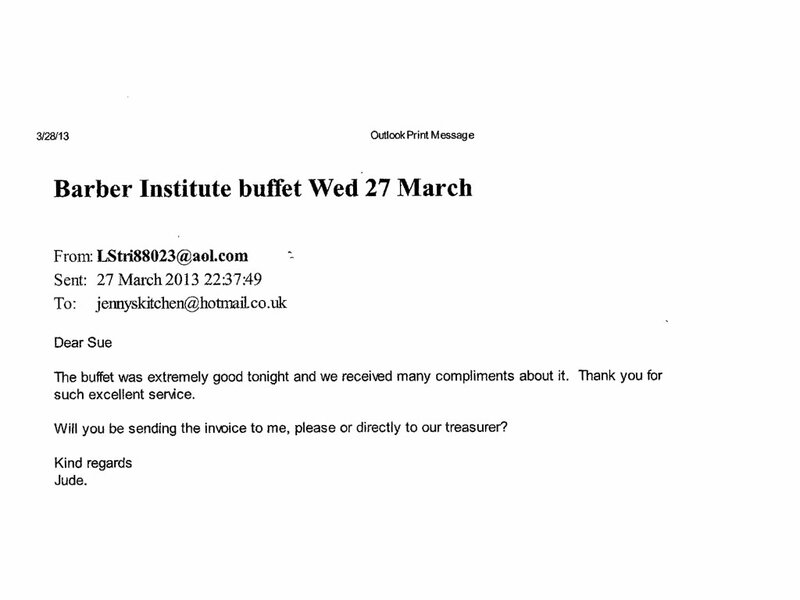 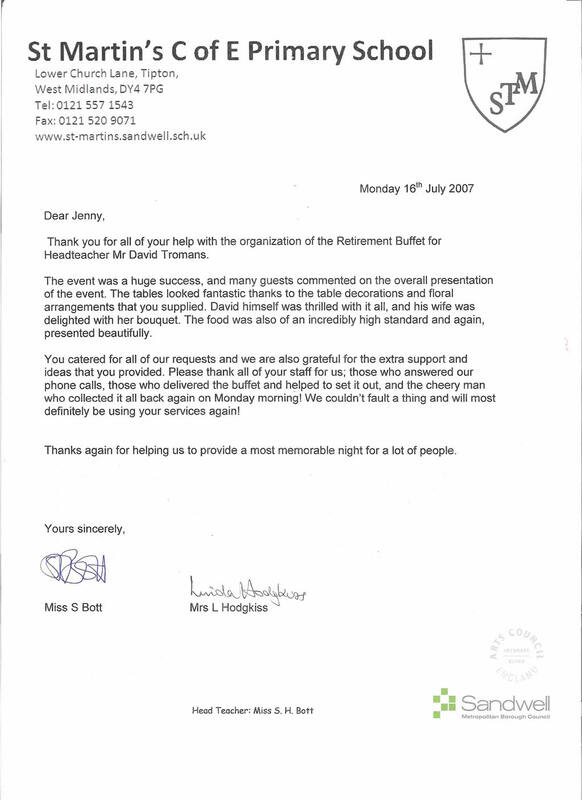 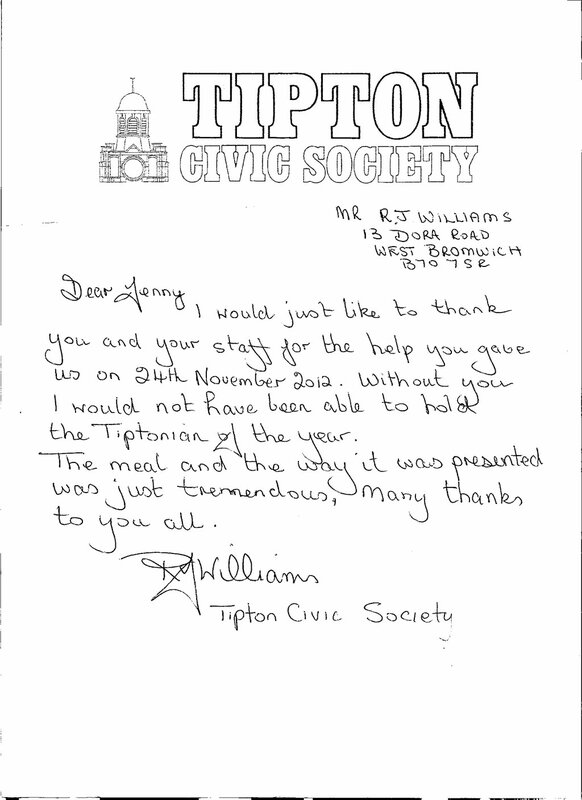 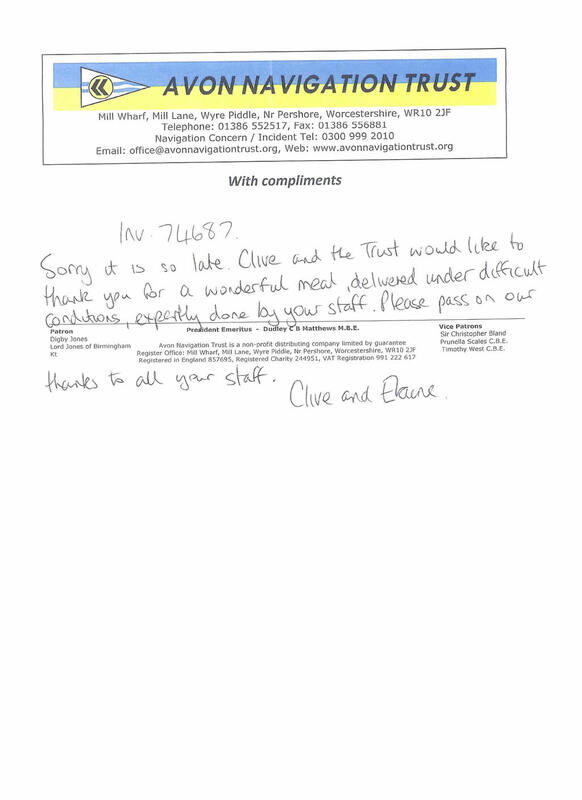 "It was a wonderful buffet and very well received..."
"I just wanted to thank you for the excellent service..."
"Thank you for a wonderful meal, delivered under difficult conditions..."
"Thank you and all your staff who were involved in a very successful night..."
"All ages ranging from 16-92 thought the food was outstanding..."
"With your support our students have been able to gain an invaluable experience of working life..."
"The food and service were excellent ... we have received contained many compliments about both..."
"Thank you for a perfect buffet..."
"Thank you for such excellent service..."